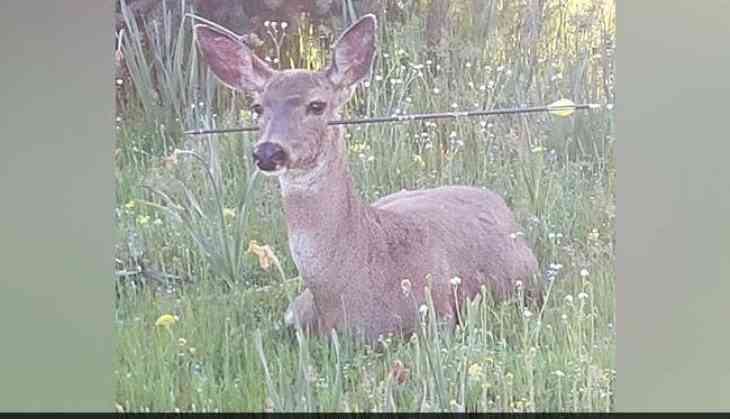 In southwestern Oregon, a wild deer is moving around with arrow all through the base of its neck. Yes, you read it right, it is a live deer roaming around with arrows stuck in them. The State wildlife official has released the picture of the wild deer and also announced a reward for giving knowledge about the responsible person. Officials from Oregon Department of Fish and Wildlife are gone out in search of the reported dear to 295 miles south of Portland. 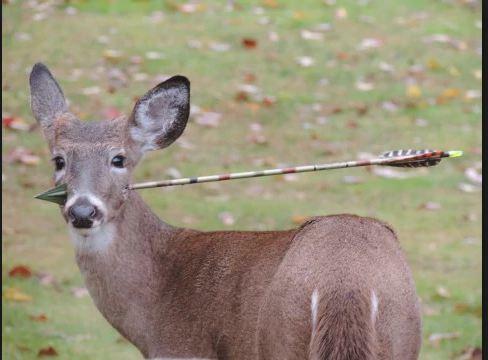 Although the deer is able to eat and walk around, officials plan to tranquilize the animal to remove the arrow safely. Presently the Oregon State Police are not able to locate the deer. On Saturday, the officials released a statement,"Two other photos - of what appeared to be a second deer - showed an arrow piercing through its face."